Rabbi Maimon received smicha (rabbinical ordination) from the Central Yeshiva of Chassidei Breslov in Meah Shaarim, Jerusalem. He’s originally from New York City where he was a close student of Rabbi Tzvi Aryeh Rosenfeld z”l and eventually became his son-in-law. 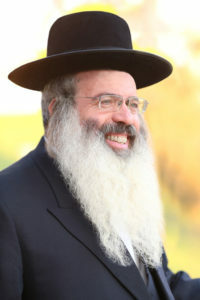 He was appointed Executive Director of the Breslov World Center in 1978 and has headed the Breslov Yeshiva’s English-speaking kollel since making aliyah to Jerusalem in 1987. In 2008 he established www.BreslovTorah.com as an online resource center for students of Rebbe Nachman all over the world. Fluent in English, Yiddish and Hebrew, Rabbi Maimon translates and explains original texts in a practical, straightforward way. His knowledge is informed by decades of close apprenticeship to his teachers, Rabbi Rosenfeld and Rabbi Yechiel Michel Dorfman ז”ל. 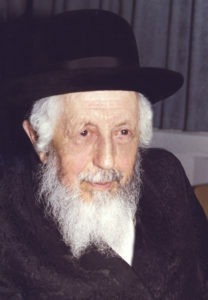 After Rabbi Dorfman’s passing in 2006, Rav Nasan consulted Rabbis Moshe and Nachman Burstein ז”ל. Rabbi Maimon is recognized internationally as a dynamic teacher, compassionate listener, and experienced counselor who provides well-grounded applications of the teachings of Rebbe Nachman in contemporary life. Rabbi Zvi Aryeh Rosenfeld was an accomplished, revered, and much beloved Breslov scholar who shared his Torah mastery with students in ways that completely transformed and uplifted their lives. Through monumental self-sacrifice and dedication, Rabbi Rosenfeld spear-headed the introduction of Breslov Chassidus to the English-speaking world. He received his first smicha (rabbinical ordination) from Rav Avraham Yaffen ז”ל of the Beis Yosef Navardak Yeshiva. He went on to received smicha from four more prominent rabonim in Jerusalem: Rav Avraham Sternhartz, Rav Eliyahu Chaim Rosen, Rav Levi Yitzchok Bender, and Rav Shmuel Shapiro ז”ל. 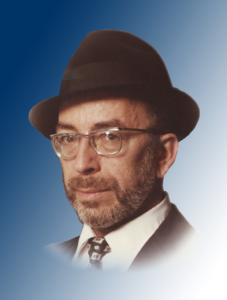 Rabbi Rosenfeld is a direct descendant of Rav Aharon ז”ל, Rav of Breslov during the lifetime of Rebbe Nachman. He is also a descendant of Rabbi Shmuel Yitzchak ז”ל, Rav of Tcherin. Both ancestors were among the most devoted followers of Rebbe Nachman. ב”ה Rabbi Rosenfeld had the foresight to record many of his shiurim, entrusting the keys to the powerful wisdom of Rabbi Nachman’s teachings to future generations. Teach Breslov chassidus publicly and train future teachers. Lecture in Breslov chassidus worldwide. Counsel and guide individuals and families. Arrange for special prayers for students and donors at holy sites in Eretz Yisrael and in Uman. Speak at family life-cycle events. Ohr haNe’elam is a full-time kollel of 100 students and their families in Jerusalem. Founded by Rabbi Rosenfeld and expanded by Reb Michel Dorfman, its participants study of Gemara, Halacha, and Chassidus. Kollel Chatzos shel Breslov baKosel, a pre-dawn Kollel at the Kosel haMa’aravi, offers donors participation in Torah study and tefilos ( prayers). In 1979 the Soviets planned to destroy Rabbi Nachman’s grave in Uman to make way for a housing project. The leaders of the international Breslov community appointed Rabbi Michel Dorfman ז”ל as their spokesman to avert this threat. Reb Michel first went straight to the kosel where he begged, with heartfelt tears and prayers, for Divine intervention. Then, although he spoke no English, Reb Michel immediately traveled to the U.S. where he enlisted Rabbi Nasan Maimon as his translator and close assistant. Together they solicited and received endorsements from HaRav Moshe Feinstein זצ”ל and other gedolei Torah. 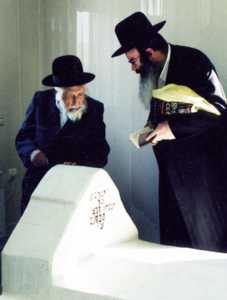 Reb Michel Dorfman and Rabbi Nasan Maimon at the gravesite of Rav Nasan of Nemirov, Breslov, 2004. The Satmar Rebbe, Lubavitcher Rebbe, Rav Moshe Sherer, Rav Pinchas Teitz, and Rabbi Aryeh Kaplan all supported and contributed their wisdom and guidance to the mission. With their help, Rabbi Maimon was able to present the Jewish community’s petition to officials from the U.S. State Department and the Kremlin. B”H the petition succeeded and the gravesite of Rebbe Nachman was preserved. This miracle also protected the nearby mass grave of some 30,000 Jewish martyrs of the Chmielnitsky massacres. As a direct result of these efforts blessed with success by Hashem, hundreds of thousands have been able to visit this holy site since that time. In 2011, Rabbi Nasan Maimon presented a five-part lecture series to document these events.